Brennan Manning passed away last Friday at the age of 79. I only found out this morning and I’ve been thinking of him all day. I never met Brennan Manning and I never heard him preach. Yet I would count myself as one of the millions who have been touched by his life. Why? I’ve read The Ragamuffin Gospel, of course. Chances are, you have too. This week many who knew Brennan better than I did are writing obits better than I could. (I recommend this one by Ben Simpson.) I am not going pretend I knew him except through his stories. But, oh my, his stories were something else. They were like nothing I ever heard in church. I was raised in a world where Christians were supposed to be shiny and victorious and overcoming-with-Jesus, but Manning was a bona fide ragamuffin – a raggedy believer barely keeping it together. As an alcoholic he had a raw and ravenous need for grace. As a Catholic priest who had a hard time keeping the rules, he met many who, like him, had been chewed up by life. Manning tells the stories of real people and their great need for grace. Like the parables of Jesus, his stories are spin-free. “Here’s life, it’s dirty; now here’s grace, it’s amazing.” That sort of thing. 3. When a man or woman is truly honest, it is virtually impossible to insult them personally. 9. Because salvation is by grace through faith, I believe that among the countless number of people standing in front of the throne and in front of the Lamb, dressed in white robes and holding palms in their hands (see Revelation 7:9), I shall see the prostitute from the Kit-Kat Ranch in Carson City, Nevada, who tearfully told me that she could find no other employment to support her two-year-old son. I shall see the woman who had an abortion and is haunted by guilt and remorse but did the best she could faced with grueling alternatives; the businessman besieged with debt who sold his integrity in a series of desperate transactions; the insecure clergyman addicted to being liked, who never challenged his people from the pulpit and longed for unconditional love; the sexually abused teen molested by his father and now selling his body on the street, who, as he falls asleep each night after his last “trick”, whispers the name of the unknown God he learned about in Sunday school. Our only option is to view Gods grace with no limits , to take any other view you would be presuming to put your price tag on his Sons sacrifice. This post does a great job of reminding me of this. I’ll have to read Ragamuffin Gospel. It’s funny, I am currently reading my first Manning book that was his last called “All Is Grace” and it’s wonderful. I need HIS Grace everyday, it seems Brennan did to, despite all our shortcoming we’re not even “the chief of sinners”, a title reserved for one who “turned the world upside down”. 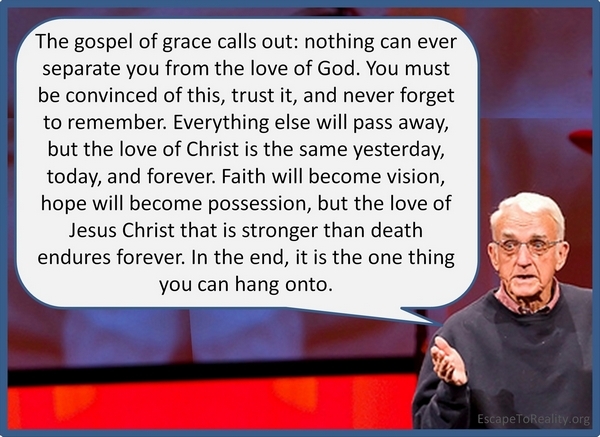 Thanks for the quotes…praying each day that I may know Him who is grace as did Brennan Manning. I’ve heard Rich Mullins refer to #7 and I always loved #10. Thanks for clarifying that Amy. I could’ve mentioned that Brennan was widely read and didn’t merely quote theologians. To read Brennan was to have your horizons widened. I had to tear up a little when I read number 9. When I was a child I remember people saying that the church is one of the most vile things to exist because it will turn and devour it’s own to give it an appearance of perfection. This same concept I heard over and over growing up and was always from people who had seen the aftermath of religion, fellow believers in Christ. I thank God and find great peace and joy in his unconditional love and it is good to know that no matter what circumstances we may find ourselves in God will always receive us. Thank you so much Thomas Myers for ur sincere warm encouragment and that statement you made, spoke to me. Just came off a 4 hr convo with a sweet dear friend Female Believer who was thinking of leaving our church cuz of the very words you said. The Pastor keeps preaching condemnation and rips up the people to get to those he wants to attack. 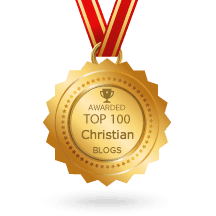 and earlier, I just came off counselling a great Christian blog of many many true Believers who are thinking of walking away from Christ cuz they think they can’t do enough to please God and they can’t get access to their blessings. Dear Thomas, we of grace, have our work cut out. We have to spread the word of grace because there are millions of Believers who are trying and they still think God hates them. I could cry for what you wrote and the only way to combat satans lying words is to cover the deceiver with God’s words, rightly diving the word of truth. Its an epidemic but the gates of hell shall not prevail. some of my favorites are, PLEASE BRO AND SIS, DON’T SHOOT THE WOUNDEDand one by J Prince,FROM THE PULPIT,FEED DON’T BEAT THE SHEEP. So what about the subject of mysticism in general? I am referring to practices of seeking spiritual experience for experience sake & getting off into error. I don’t have a settled opinion on the subject & would welcome referral to other posts or references. You might want to read Mystical Union by John Crowder. after 40 years of thinking I understood things,the Grace of God has been so freeing and I know there is more to come,because the freedom allows you to move around,challenge,and truly move into the kingdom.sometimes its almost painful to try to share it, we’ve been so programmed. that the almost to good to be true news,is to good to be true, it unbelievably simple. I will be grateful to God for Brennan, who showed and shows me that God just wants me. Not perfect me or trying SO hard to be, He just loves me, period. And that is the Best News. Ever. Available for all!! I am back here today because a friend has been hurt badly and i want to share one of Brennan’s quotes with him. Hopefully I’ll find it soon, but how cool that he is still helping people know Jesus and that we get to use his quotes to direct others to Jesus. RIP, thank you so much Paul, the way you worded your post about him is amazing. He sounds like my kind a guy, imperfect as anything but loving the Lord and never giving up. Thank you for sharing your admiration of him and his uniqueness. I heard of him before but never investigated Brennan Manning. The ripples of Brennan’s life touched mine in many ways…Thank you Father for the revelation of your grace and love you revealed through his life…..
in what book that he wrote did he talk about the second conversion experience? Those that have been forgiven much…love much ❤ Jesus understood this more than anyone and spent His time with the broken, the abused, the rejected, the outcasts, the alcoholics, the crooks, the unclean and the worst of sinners….those most in need of His grace. I was introduced to Brennan Manning some five years ago at a homeless shelter by a fellow volunteer. We shared leadership with a group of homeless residents each Monday night for prayer and reflection, including Brennan’s writings. The Ragmufin Gospel probably impacted my life more than any other spiritual book, right up there with Rick Warren’s The Pupose Driven Life. Something (some One) prompted me this evening to check up on Brennan. I was, am, saddended to hear of his death last April. He is in a better place and I am in a better place because of him. Thank You dear Lord for bringing him into my life. I too am a Ragamuffin . Brennan’s understanding and his ability to share the love that God has for us through his son Jesus . When I read the Ragamuffin Gospel I feel I understand Jesus in a different, more profound way. I to want to rest my head on the empty chair beside my bed know that Jesus loves me for who I am with all my faults. I have seen Brennan’s lectures on U tube and to hear him speak caused my heart to swell and break at the same time. Thank you Brennan I look forward to seeing you some day and then I can thank you in person. You will be at the feet of Jesus with all the other children. When does salvation ever cease to be a gift? Beautiful words of the Gospel.